Having space is something of a luxury, especially for those who live in city centre locations or have just purchased their first home. When you’re short on space it can be hard to know how to decorate and furnish your home. The wrong choices can leave you feeling a little overwhelmed. But knowing how to make the most of what you have will enable you to create a home that feels surprisingly spacious and open. Here are seven design tricks that will create the illusion of more space. 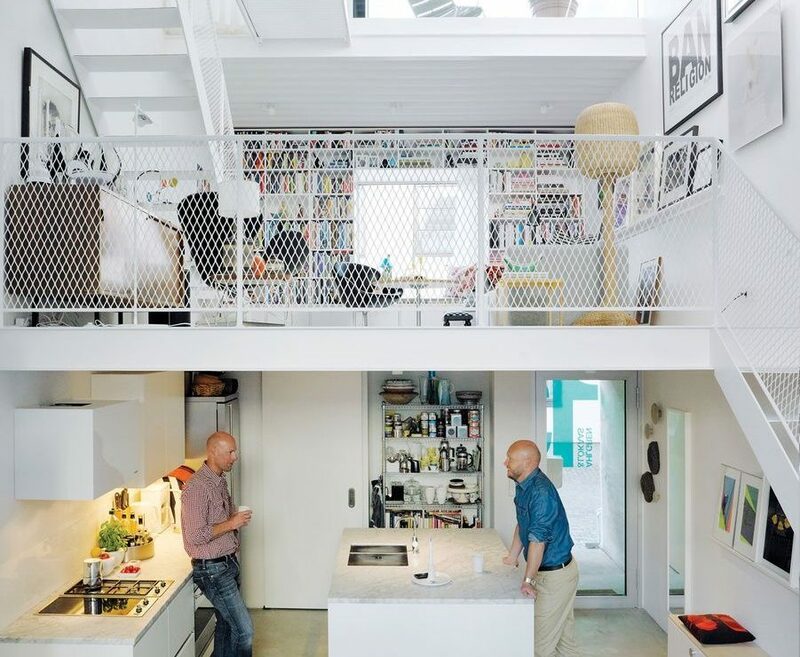 Not having enough space to entertain is a common problem with smaller homes. 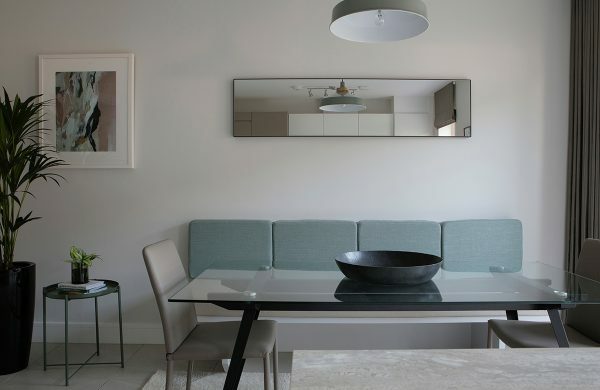 A great idea is to build in a bench or banquette seat in your dining space. Not only will this almost double your seating capacity but it will also add real impact to your space. Pedestal dining tables work best with bench or banquette seating arrangements as the table legs don’t obstruct those from getting in and out from the bench seat. A fully upholstered custom made solution will add a luxurious feel to your dining area and for those on a tighter budget opt for a bench and finish off with loose cushions. Adding full height doors really does make a statement and will give your home the illusion of having fantastic floor to ceiling height even if you don’t. This isn’t a budget solution as it will involve some building work and the doors will need to be custom made but if you are planning some renovations it’s really worth considering. Building in your wardrobes really is a really great design trick. Ask your builder to fill in the gaps around the wardrobes by boxing out the space with plasterboard. 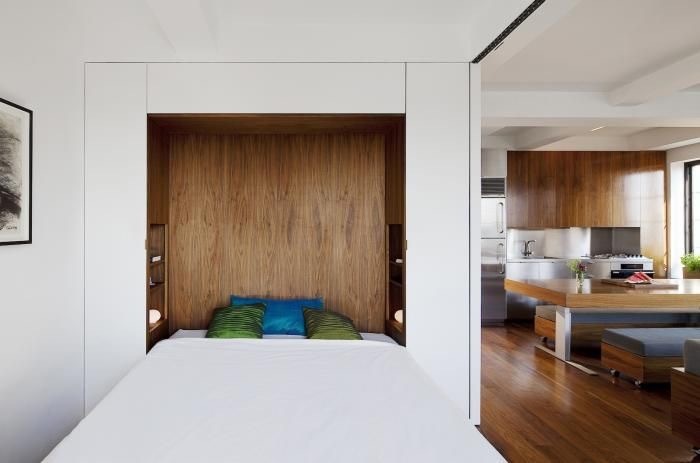 Whether you are going for bespoke joinery or an off-the-shelf solution this will create a seamless look, making your wardrobes blend almost invisibly into your room. Try painting them out to match the walls and you won’t even notice them, giving the illusion of more space. Think about replacing a few floor and table lamps with wall lights. This is a great way of making use of your wall space and freeing up valuable floor space in your home. It not only adds an interesting design feature but also serves a necessary, functional purpose. If your budget doesn’t stretch to hard wired fittings there are some lovely plug in versions available. Select one finish for your floors throughout the living spaces in your home, or if you live in an apartment consider running the same finish throughout. By eliminating the visual breaks that thresholds create between different floors, i.e from tiles to timber or carpet, you will make your home feel more spacious as the rooms will flow seamlessly from one to the other. Engineered timber floors work really well in most spaces and can be softened with rugs where you need a little bit of extra comfort. For those on a budget there are some wonderful wide plank laminates available now that look just like the real thing at a fraction of the cost. Try replacing some of your solid doors with glazed versions. This works really well if you have doors opening up between rooms. You do need to bear in mind that if you live in an apartment you will need to go for fire-rated glass, which is expensive. It’s worth checking with your management company before you make any alterations. Sliding glass doors between living spaces work really well and maintain the feeling of open space whether open or closed. You might feel that this is counter intuitive, but actually nothing makes a room feel more pokey than short curtains. And undressed windows leave your room feeling a little unfinished. By filling your walls either side of the window with fabric you will create the illusion of the window being much bigger and also accentuate the floor to ceiling height of the room. Avoid too much detail like heavy curtain poles or elaborate curtain headings. For a really contemporary look opt for a wave system curtain on a simple ceiling or wall mounted track. Mirrors are one of the simplest ways to make any small room feel instantly larger. This is one item that you can afford to go really big with in your small space. A mirror of any shape or size will work, but the longer and the wider it is, the better. Fill a section of wall in a narrow hallway with mirror and instantly double the feeling of space and light. Or use mirror as the finish for the backsplash in your kitchen, it will amplify your under cabinet lighting and make your kitchen feel much bigger and brighter. Add your email here and we will send you our free guide to choosing colour for your home! I would like to sign-up to receive email updates from Optimise Design.